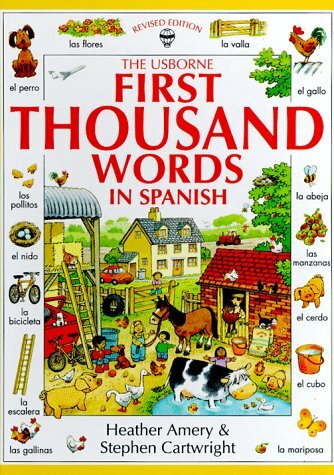 As a language teacher, any time you can mix culture with language skills you up the amount of learning in your lessons. Last year with one of my most advanced students I started printing off interesting pictures for us to discuss in Spanish. It then occurred to me that we could do the same activity with the great works from various Spanish/Hispanic artists. Not only will my students get exposed to beautiful artwork, but they will also be able to practice their speaking skills. Art Postcards can be used in small groups or in private lessons. Here are some collections for Frida Kahlo , Diego Rivera , Diego Velazquez , Picasso , and Salvador Dali . You can also use art books to show pictures. You can print them from the web. 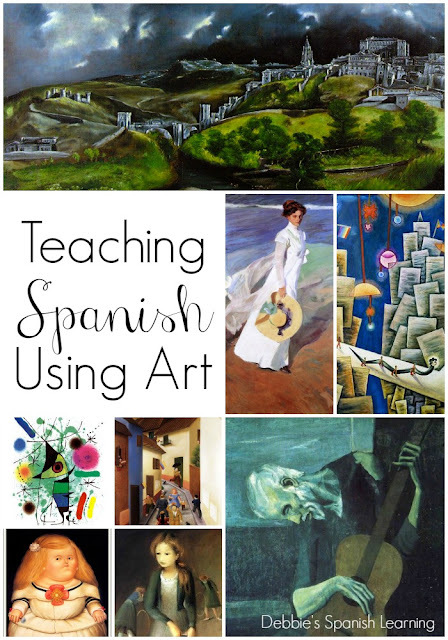 Here is my pinterest board on teaching art and Spanish. It contains lots of paintings, and I plan on adding more. Here is the free printable with questions you can use to discuss the paintings. Another item that I have found helpful is to discuss color theory with my advanced students. This page has a great color wheel in Spanish to help you do that! Here is a Diego Rivera painting lesson. 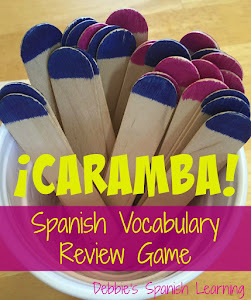 How cool would it be to do this in Spanish with your students? Here is a great lesson that compares different Spanish-speaking artists! Xul Solar. Arte para chicos -I haven't bought one of these yet, but the title intrigues me. So many times you have to screen art that is appropriate for children. I am wondering if these would do that for you. Frida - A biography for younger kids. muchas gracias por compartir tu trabajo.Me encanta!